ISLAMABAD: Military spokesman Maj-Gen Athar Abbas has hinted at involvement of retired ISI officials in the 2008 Mumbai attacks, but categorically denied any role of serving spies. 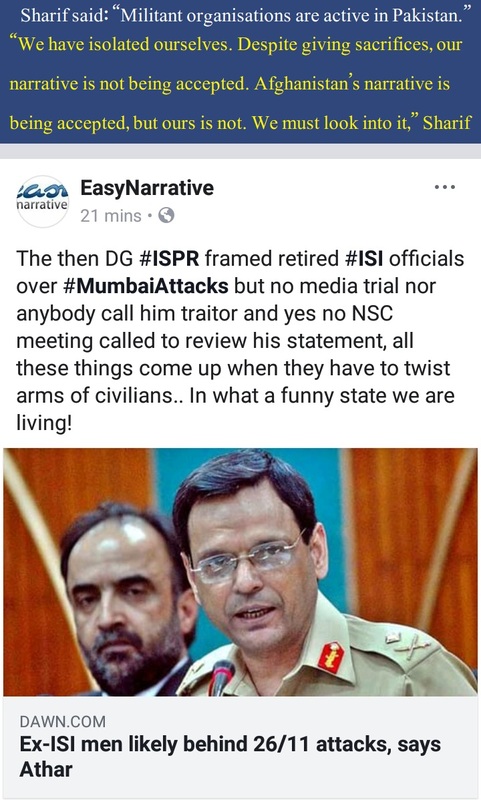 The ISPR chief, in his interaction with the visiting delegation of Indian journalists and in an interview with CNN-IBN, indicated the possibility of some retired officials collaborating with Mumbai perpetrators. This is probably the first time that Pakistan military has suggested possible links between retired ISI men and Lashkar-e-Taiba, though India had in the past accused serving officials of being involved. Maj-Gen Abbas described the group responsible for the attacks as a splinter group of LeT headed by Zakiur Rehman Lakhvi, who is being tried by an anti-terrorism court in Rawalpindi. He denied ISI had any links with the Haqqani Network â€“ an accusation made by Chairman US Joint Chiefs of Staff Admiral Michael Mullen during his visit to Islamabad last week. The military spokesman reiterated the demand for an end to US drone strikes in tribal areas.